The rise of the robot media planner. In a recent Digiday article, they asked the question “who needs media planners when a tireless robot named Albert can do the job?” The Albert in question being an AI platform that specializes in media planning. This made me think –do we really need media planners? Surely Albert (and Watson and all their AI buddies) can do a way better job than us mere humans. After all, they never make poor decisions due to lack of coffee. Aren’t subject to office politics. Don’t favor that cool new channel, just because it’s, erm, cool. In the keynote presentation (subscription required) at Gartner’s recent Digital Marketing Conference, my able and esteemed colleagues Marty Kihn and Jake Sorofman reminded us that marketing is ultimately a human endeavor. It’s about humans communicating with humans, with technology as an enabler and optimizer. Because, much as I’d like to shift some of my mundane purchase decisions to somebody, or something else – as a consumer, many of my brand decisions are still made based on human choices. 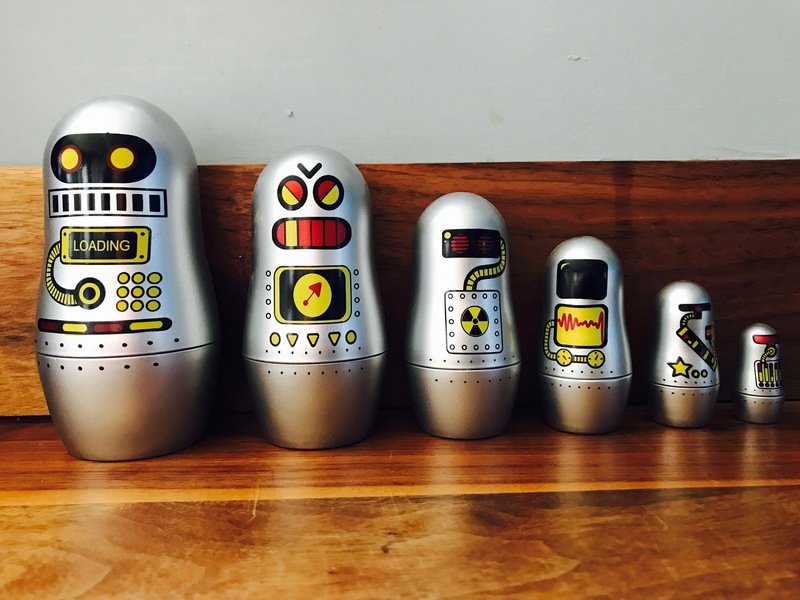 Robots are great (trust me, I’m a Kraftwerk fan – and the robots pictured above are from my own private collection), but advertising and media planning is a core function of human communication – selecting and optimizing a mix of channels and tactics that connect with other humans. I’m sure Albert does an awesome job, but I’m also pretty sure that Albert is not alone in the media planning process. Because the reality is that campaigns that should work, often don’t. And who sees those ads, when they see them, and in what context matters. I’m sure we can all remember issues in the past when risqué creative treatments have been erroneously programmed in the middle of family viewing, or inappropriately placed on a billboard in plain sight of the easily offended. As far as I know, robots have yet to understand a masterful pun, or outrageous innuendo (and as a Brit, I have a penchant for both). Plus, good media planning requires consideration of the full range of available channels. Sure, this will include digital channels, rich in lovely, reliable, optimizable data. But even a died-in-the-wool digital native marketer knows that good campaigns can (and should) include offline channels – broadcast TV & radio and traditional OOH to name a few, where the data is rather less free-flowing. Then there’s all the other stuff like PR and experiential marketing, which may not be in the purview of many media planners, but should at least inform the overall mix. So sure, Albert can do a great job sharpening and optimizing your media mix, but consider Albert (and his other AI friends) as part of your media planning team – a new colleague joining you in your ongoing quest for human engagement. Media planners of the world – don’t give-up the day job just yet!